(Part of the Wednesday Evening series). Preached by Pastor Curtis Martin on April 17, 2019 (Midweek Meeting). Preached by Pastor Curtis Martin on April 10, 2019 (Midweek Meeting). Preached by Pastor Curtis Martin on March 27, 2019 (Midweek Meeting). 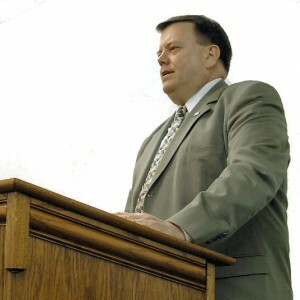 Preached by Pastor Ken Yeager on March 20, 2019 (Midweek Meeting). Do You Hear what God is Saying? Preached by Pastor Curtis Martin on March 6, 2019 (Midweek Meeting). Preached by Pastor Curtis Martin on February 27, 2019 (Midweek Meeting). Preached by Pastor Curtis Martin on February 20, 2019 (Midweek Meeting). (Part of the Follow After Righteousness series). Preached by Pastor Curtis Martin on February 13, 2019 (Midweek Meeting). Preached by Pastor Curtis Martin on February 6, 2019 (Midweek Meeting). Preached by Pastor Curtis Martin on January 23, 2019 (Midweek Meeting).